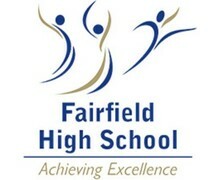 Fairfield High School (FHS) is a popular and successful school, greatly valued by its community. Staff and parents are committed to working together to make sure every individual's talent can flourish. High expectations give students the values, skills and knowledge to move on with confidence to the next stage of their education. FHS was judged Good with Outstanding features by Ofsted in 2015 and retained this rating in 2017, when it was praised for raising students’ aspirations and expanding opportunities for all, especially the disadvanged. The school, which serves a rich and culturally diverse community and hosts students of more than 40 nationalities, is widely recognised for its harmonious and inclusive environment. Young people make strong academic progress at FHS and receive every encouragement to find the joy in learning and to grow and develop as people. Fairfield is one of Bristol’s most over-subscribed schools and has expanded in recent years to help meet growing demand for places. It has been part of the Excalibur Academies Trust since 2015. Collaboration with schools within and beyond the trust benefits students, staff and the wider community. Partnership with CGS to develop V6 is a further example of the school’s determination to create the best possible opportunities for its students to realise their potential.